The more you learn the less you know. I never quite understood this saying and just thought it was one’s feeble attempt at humility in the face of great understanding. Well, I think I’ve got it now. As I have learned more and more about Jesus, the Bible, and the church I have become unsure of things I was once sure of. I walked into this whole church-planting deal with tons of non-negotiable ideas. This is not to say I have wavered in my core belief that Jesus is God and offers grace fully to all humanity. Church has become a beautiful mess in my eyes. I love it, I love Christ’s bride, but as I study the Bible and reflect on what church is I am forced to question establishments and traditions I am now involved in and even part of. In general as Christians we are all involved in the church and this is something I have come to have peace with. The definition and all the specifics have changed though. This has brought me to a couple neat realizations and strong opinions. A quick tour of the modern American church at face value would often lead you to say it is event driven. A quick tour of the church and its beginnings in the Bible would always lead you to say it is lifestyle oriented. Terms and phrases that have grown to make my skin crawl include going to church, see you at church, what church do you go to, outreach, assimilation, growth strategies, etc. Offense is probably taken right here for most readers. I am comfortable with that. I assure you I do not mean to offend and know plenty of great people who use these terms who have very good reasons for using them. I on the other hand am not comfortable with the as is approach to all this. I am not ok with getting myself all comfy in a context that I am not too sure I am 100% sold on. Why squeeze a square into a circle hole? These terms and this general idea of the American church are all based around an event oriented religion. It can create unhealthy boundaries, separation, and ideologies. Obviously anyone who is a follower of Christ has or should have the main intention of introducing someone to Christ and helping them grow in a relationship of obedience and love towards Him. The way we go about this is what has become an issue of focus for me though. I call it event oriented religion. Our ideas and traditions tell us that this Sunday event is what will get people introduced to the Gospel and the more we get here the more possibilities we will have to share the good news. As far as practical logic this works brilliantly, but we’re not selling Tupperware or a new computer program. If we believe this event is of the most importance in this process then we are likely to spend more time thinking of how to supplement it. This supplementation generally includes marketing and other ways of drawing people to this event. In my own personal opinion as I watch Jesus through the gospels, anytime there is a big gathering with people who want to come see some circus show, He says something or does something to get rid of that crowd, like eat my flesh and drink my blood or anyone who wants to live must die. He did this to seek true followers. 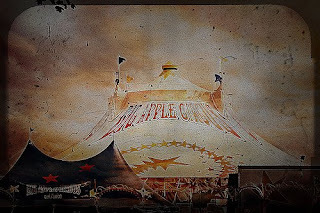 I often think that we have foolishly become convinced that Jesus likes big gatherings… I think the bigger the gathering the more possibility of circus attendees, just looking for a good show. The other possibility is a lifestyle oriented Christianity. This is where I find my comfort and where I flourish most, so obviously I will have a biased opinion here. Every time the Gospel is preached it is consequent of some relationship or common denominator. I’ve done the research and cannot find one where this doesn't hold ture. A person focused on lifestyle and relationships is focused on getting into other people’s worlds. Strong relationships are built and a ton of trust is earned. Through this meshing of lifestyles Christ has to be the focus though. Any person who is a Christian working towards seeking others through relationships must do so with a genuine concern to get to know that person first then begin to cross bridges as God opens them. As I look at Jesus' ministry throughout the Bible, I see a focus on relationships and lifestyle, not events. Jesus is no circus God, He wants those who will accept grace. Jesus never chased around people frantically trying to convince them of who He was. Jesus did take every opportunity though. Maybe if we focused more on lifestyle and taking every opportunity we have to create relationships in order to share Christ we wouldn’t be so anxious about filling a building or an event. I believe the Bible never teaches or illustrates an event oriented faith. This is something we have inherited from generations of traditions made by men. I’m not saying down with the Sunday gathering, I just think it consumes too much of our focus. Yes, if you have read any amount of my writings you will agree that I am an idealist, but I think that is what Jesus wants me to be. I dream of seeing the Bible lived out and Christ glorified, this is an ideal that I’m willing to die for and you should be too. I’m not trying to say close all the church buildings down. They can and have had a huge impact in people’s lives. So I am not saying that they are wrong, I am saying that our reliability on events hinder our efficiency. God will use any mess, I just think we should seek the best way, not just any, to spread the news of Christ.